This is the fourth in a series tracking the children of Mira Halperin Lefand Marienhoff.You can see everything in this series to this point here. Liba Marienhoff was born around 1890 or 1892 in Nezhin, Ukraine. Her birth was not recorded in the Jewish metrical records--which seemed to be not unusual for girls, as there were almost double the number of boys as girls recorded in the town's birth records of the 1890s. I wrote earlier about how I found a potential British connection for my family and how I got a copy of my grandmother's probable great uncle's marriage license in England. 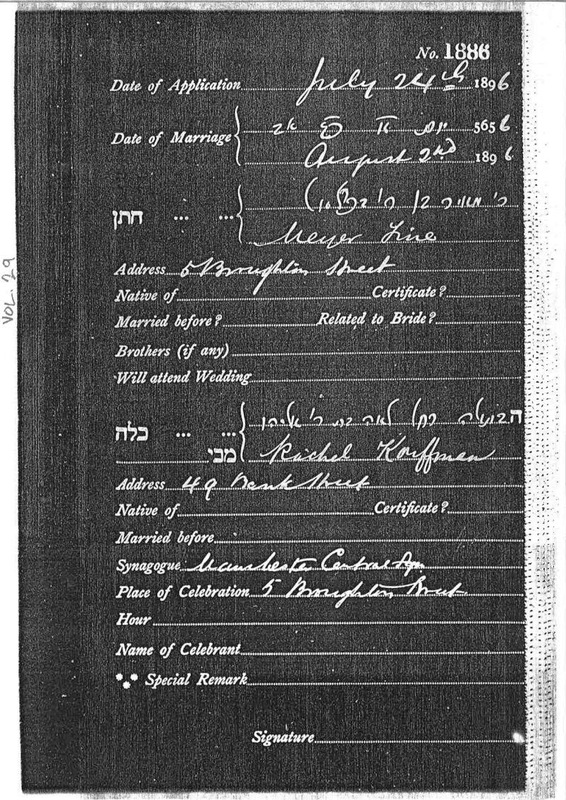 Thanks to the advice of JGSGB, I contacted the Office of the Chief Rabbi in London to request of copy of Meyer and Rachel Fine's marriage authorisation. My great-great grandparents were Yeshaya and Zlata Tzipra (nee Sanshuck) Supkoff. I've blogged earlier about how the Supkoffs were from the town of Shpikov, but I hadn't been able to find them in the metrical records that our Shpikov group obtained. I knew that Yeshaya had at least one brother Yossel and three sisters who never left Europe and whose names were unknown, and that his father was Shaul Ber. Recently, we got another batch of records, the largest part of which is a revision list from around 1895--basically a census of the Jewish residents of Shpikov. They're being transcribed by volunteers, and that process is still ongoing. However, the first pages of the records are an index to the heads of each family in the overall records. I asked the volunteer transcribing the records if he was Supkoff or Zypkoff in the index--but he didn't. Oh well. But then Alexander sent the first half of the transcription of the index--and a quick glance through the names made me do a double-take--"Shoel-Ber Zubkis" was listed as a head of family. The Zubkis name was familiar to me. This is the third in a series tracking the children of Mira Halperin Lefand Marienhoff.You can see everything in this series to this point here. Leib Lefand was born in Nezhin, Russian Empire (now Nezhin, Ukraine) on April 10, 1882, to Mira Halperin Lefand. His father Yehoshua Zev Lefand had died nearly 9 months earlier. 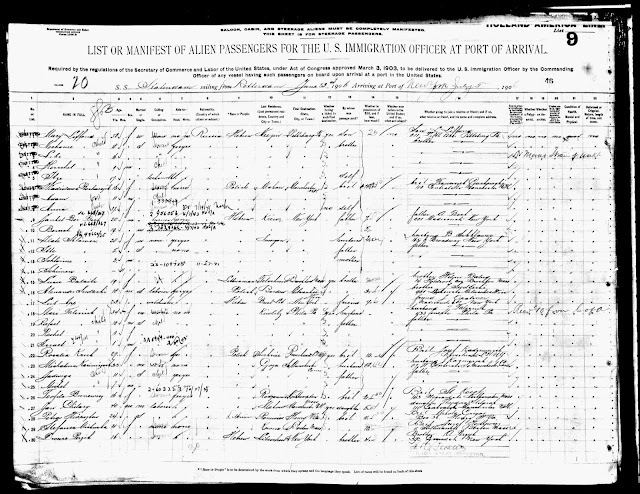 Leib had at least 4 older siblings. 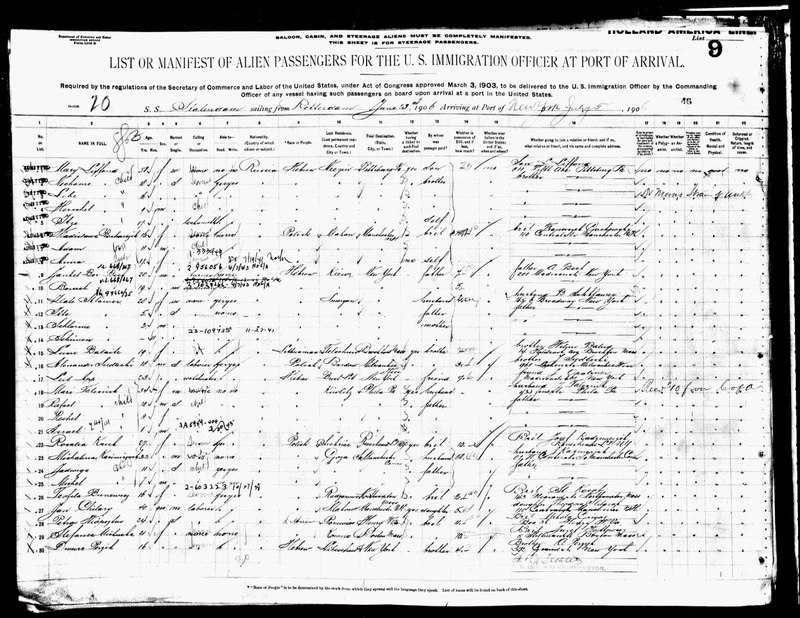 His mother soon remarried, and by 1888, Leib was living with his siblings, step-siblings, and two new half-siblings.